Share your experiences with Karoq? If you're not in a hurry buy and can wait for some time then we would suggest you wait for Skoda Karoq otherwise go for Jeep Compass as it's rock-solid, built to munch miles and ready to get down and dirty. Q. 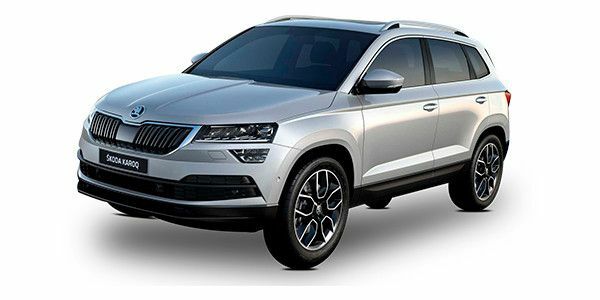 When is the Skoda Karoq expected to launch in India? As of now, the brand hasn't revealed its exact launch date. However, we expect that Skoda Karoq will launch in India by the end of 2019. Q. Is it has automatic transmission?? What is the seating capacity?? Q. Is Karoq expected to be sold in a Petrol variant in India? Q. Can we expect expect launch of Skoda Karoq 2.0-litre diesel auto transmission in Dec 2018? i wanted to buy VW Tiguan but willing to wait to see Karoq and decide after that. Q. What about suspension seating capacity boot space? As it hasn't been launched yes. So, we would suggest you to wait till its launch. The replacement for the quirky Yeti should be here next year!